The agreement comes as a result of efforts by the Guild, SFWA, literary agents, and authors to hold Galaktika’s publisher accountable for reproducing copyrighted works in print and online issues of the magazine in violation of the authors’ rights. The organizations became involved last fall after literary agent/lawyer Jonathan Lyons (a member of the Authors Guild) brought it to the Guild’s attention. “After we realized the extent of the problem,” said Authors Guild executive director Mary Rasenberger, “it quickly became clear that a collective response from the author community was needed to fully address the problem. The Authors Guild exists to take action in situations like this.” SFWA had already been working to resolve members’ claims through its Grievance Committee, but realized that a joint effort by both organizations was more likely to yield results for all affected authors. Pursuant to the agreement, Metropolis provided the Guild and SFWA with a list of all unauthorized stories that appeared in Galaktika’s past issues. It also confirmed its commitment to seek permission before publishing copyrighted works in the future and to remove all infringing works from their online media. Most importantly, the agreement legally obligates Metropolis to offer a reasonable fee for each infringed work, to be agreed in good faith individually with those authors whose works were infringed in Galaktika. The agreement does not settle any author’s particular claims, but sets a benchmark for transparency and gives individual authors leverage in pursuing their claims. Moreover, Metropolis Media will not be released from the claims of infringement that the Authors Guild and SFWA might bring until all of the authors’ individual claims have been settled to the Guild’s and SFWA’s reasonable satisfaction. To that end, SFWA will be publicizing the list of authors and estates that are owed money and contacting them individually when possible. “Metropolis Media was an open and attentive negotiating partner,” said Rasenberger. “We’re confident that it will address individual claims honestly and in good faith. While ignorance of the law is not an excuse, Metropolis’s willingness to compensate the authors whose rights were violated and to respect authors’ rights going forward is a step in the right direction. The Authors Guild will keep an eye on Metropolis Media to ensure that it abides by the terms of the agreement and fairly treats authors whose works they have used and will use in the future.” SFWA, whose connections in the science fiction and fantasy community run very deep, will also be monitoring Metropolis’s commitment to negotiate in good faith. Authors (or agents representing authors) whose works have been infringed in Galaktika may contact Dr. Katalin Mund with their claims. She can be reached at mund.katalin@gmail.com. Authors Guild members can also contact the Authors Guild at staff@authorsguild.org for help negotiating their settlements. SFWA members who believe that Galaktika is not living up to this agreement should contact John E. Johnston III at griefcom@sfwa.org. This entry was posted in Like Show Business and tagged litigation, SFWA, The Authors Guild by Mike Glyer. Bookmark the permalink. As the journalist who brought this case to light, I’m happy it was resolved in some way. Congratulations Sean Wallace, A. G. Carpenter, SFWA and the Author’s Guild! Great job! 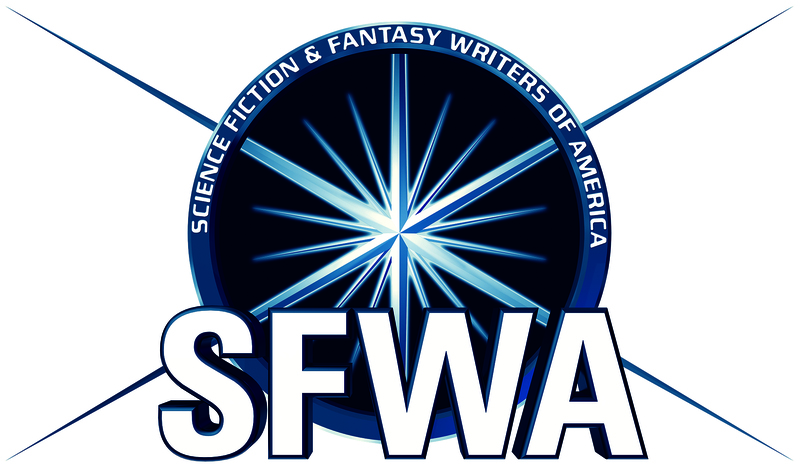 Good job, SFWA and AG! And Pinter for bringing it up. I have serious doubts that they’re actually going to pay up, though. I have every reason to believe they’ll pay, having been involved in this discussion for a number of months now. And thank you, Pintér Bence, for bringing it up and working to keep it in the news.